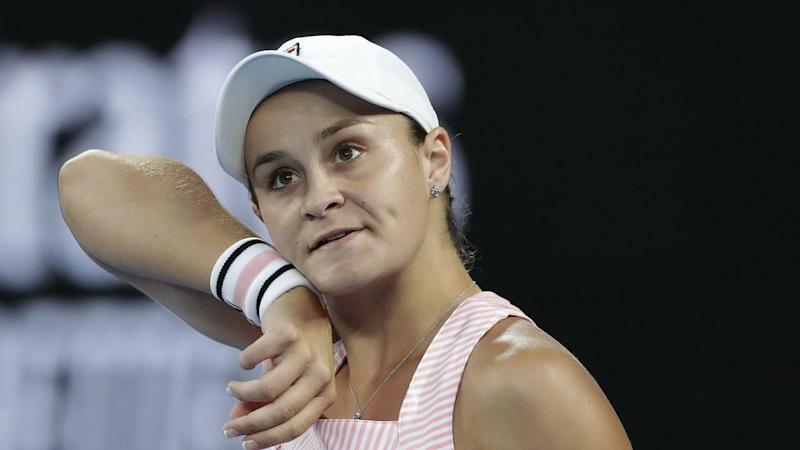 The US is prepared for a tough battle against the Ashleigh Barty-led Australian team in this weekend's world group first-round Fed Cup tie in North Carolina. With Serena and Venus Williams not playing, the US will rely on a youthful squad of Madison Keys, Danielle Collins, Sonya Kenin and Nicole Melichar. The Australians are also young, with the oldest member being 24-year-old world No.47 Daria Gavrilova. "They're a very tough team," said American team captain Kathy Rinaldi, sizing up the Australians. "They have Ash Barty, who is one of the top singles and doubles players in the world." Rinaldi and Australian captain Alicia Molik will announce their singles and doubles players on Friday (Saturday AEDT) for the tie in Asheville. Both teams are on highs with players coming off successful Australian tours. America will be led by world No.17 Madison Keys and features Australian Open semi-finalist Danielle Collins, Hobart International champion Sonya Kenin and doubles specialist Nicole Melichar. Australia's Barty, the world No.13 in singles and ranked sixth in doubles, made the Australian Open quarter-finals, Kim Birrell reached the third round and Astra Sharma won through to the second round as well as the mixed doubles final. "Confidence is something that I don't think you can buy," Molik said. "Our players have earned it."